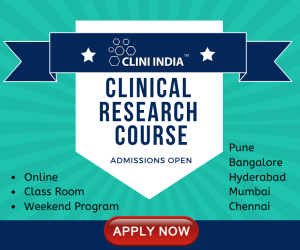 The term Clinical Research refers to the entire bibliography of a drug from its inception in the lab to its introduction to the consumer market & beyond. Not every compound that is tested in the lab is marketed. Before a drug is marketed, it has to undergo several stages of development. A clinical trial targets specific health issues in human volunteers. Performing clinical trials is one of the best methods in clinical research field for finding new treatments & practices for combating illness. Treatment Trials- test new medical, surgical, and/or radiation treatments for combating illness. Diagnostic trials: look for new or improved methods for diagnosing a particular disease or condition. Screening trials: look for new or improved ways to detect a particular disease or condition. Quality of Life or Supportive Care trials: look for ways to improve the quality of life for individuals with a chronic illness. Clinical trials involving new drugs are commonly classified into 4 phases. Each phase of drug approval process is treated as a separate clinical trial. The drug-development process will normally proceed through all four phases over many years. If the drug successfully passes through Phases I, II, and III, it will usually be approved by the national regulatory authority for use in the general population. Phase IV are 'post-approval' studies. Phase 1– Is the treatment safe? After an experimental drug or treatment has been tested in the lab and/or on animals, it enters a phase 1 trial. This is the first testing of a new drug. Phase 1 trials are generally carried out in healthy volunteers who are small in number, usually 20- 80.The purpose of Phase 1 studies is to identify metabolic and pharmacological effects of drug in human and to determine the side effects associated with increasing doses and to gain early evidence on effectiveness. During Phase 1 sufficient information about the drugs pharmacokinetics and pharmacological effects is required. The purpose of this phase is to mainly determine the safety profile. Phase 2– Does the treatment work? Phase 3– Does the new treatment work better than the standard treatment? Phase 3 trials test the new drug or treatment on hundreds or thousands of individuals (1000-3000) these studies are often “double blind” trials, which mean that neither the patient nor the investigator knows which treatment is being used. They are performed after preliminary evidence suggesting effectiveness of the drug has been obtained in Phase 2 and are intended to gather the additional information about effectiveness and safety that is needed to evaluate the overall benefit-risk relationship of the drug. They are designed to answer the question of whether or not the new treatment works better, or has fewer side effects, than the standard treatment. Phase 4– Is the treatment safe over time? Phase 4 known as Post Marketing Surveillance is carried out once the drug is approved and marketed. The aim of Phase 4 is to further characterize the safety of the drug through the identification of unknown adverse reactions and potentially researching new therapeutic indications. Companies often use this phase to gain exposure to different physicians and clinics, which aids in the marketing of their product. SPONSORS- are the primary stakeholders who initiate the research process. They are typically pharmaceutical or biotechnology companies in the business of making drugs, biologics, or medical devices. They may also be academic institutions or even government agencies such as the National Institutes of Health. Either way, before they can conduct their studies or introduce any drugs, biologics, or medical devices into the market, they must first gain approval by verification of their safety and efficacy. This is done by going through the clinical investigation process. RESEARCH TEAM- The investigative site in any trial generally consists of Principal Investigator, Sub-investigators, Clinical Research Coordinators, Site managers, Laboratory personnel, Technicians, Analysts, Pharmacists, Research assistants, Recruiters, and many others. Contract Research Organizations (CROs)- A CRO is a service organization that provides support to the pharmaceutical and biotechnology industries in the form of research services out sourced (often domestically) on a contract basis. A C.R.O. 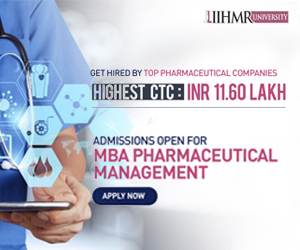 can provide such services as biopharmaceutical development, preclinical research, clinical research, and clinical trials management. Organization (SMO) is an organization that provides clinical trial related services to a contract research organization(CRO), a pharmaceutical company, a biotechnology company, a medical device company or a clinical site. The site is usually a hospital or a similar health care institution that has adequate infrastructure and staff to meet the requirements of the clinical trial protocol. The scope of an SMO's responsibility is limited to the SITE.